We ensure that 100% of the waste paper that Shredall destroys is sustainably recycled. How does the paper get from your office to the paper mill? And what happens next? When you have old documents that you no longer need, Shredall comes to your office to collect them or to shred them on-site. Between our mobile machines and the shredders on our own premises, we get through tonnes of paper every day. We are committed to making sure that none of that paper goes to landfill, so we pack it into enormous bales and transport it to our paper recycling partners, who take it from there. The recycling process itself starts by grading the paper based on quality. This will determine whether it becomes office paper or tissue paper. After it has been sorted, the paper is pulped in tanks, washing all the inks off so the fibre can be reused. Electromagnets are then used to pull out any metal debris, like paper clips and staples, before the fibres are cleaned and deinked further in a flotation tank. Whitening agent is also added, making the fibre clean and bright again. The water is then removed by passing the mixture over a vibrating machine, until the paper is half fibre and half water. Heat is then applied, reducing the water content further. When the water level is right, it is passed through a machine that acts like a giant ironing board, flattening it so that it can then be wound into huge rolls. The rolls are then divided into sheets or smaller rolls so that the paper is ready to be transported to wherever it will be used next. Different grades of paper are turned into anything from office paper, to tissue paper, to toilet paper. At Shredall, our paper recycling are efficient and can seamlessly fit with your everyday practices. Paper is a biodegradable material. When it goes to landfill it will rot, and bacteria will form and produce methane. This greenhouse gas is 23 times more potent than carbon dioxide and contributes to climate change. Manufacturing brand-new paper uses more energy than making recycled paper, but varies depending on the grade or type of paper being made. Lower-quality paper, such as newsprint and packaging paper, takes less energy to manufacture than office paper. The majority of Britain’s national daily newspapers are recycled. It can take just seven days for a newspaper to go through the recycling process and be back on the newsagents’ shelves. This stresses the importance of national paper recycling. Recycling one short ton of paper saves 17 mature trees, 7,000 gallons of water, 3 cubic yards of landfill space, 2 barrels of oil, and 4,100 kilowatt-hours of electricity – enough energy to power the average home for six months. An average tree weighs 1,000 pounds and would yield 450 pounds of pulp. Assuming 90% is converted into pulp, a single tree would produce approximately 810 rolls of toilet paper. Paper recycling has been around for as long as paper itself. Shredall has always recognised the environmental and economic benefits of recycling shredded documents, and today we recycle 100% of all shredded office paper. The quality of paper produced through our recycled paper, when turned back into fibres, is comparable to that made from virgin raw material. 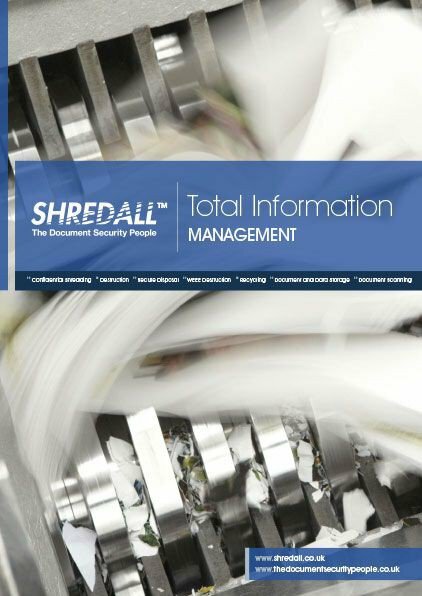 Contact Shredall today to help turn your unwanted documents into paper that can be used again. Get in touch with one of the most efficient paper recycling companies in the UK to discuss your specific requirements, or use the box below to get a quick quotation.